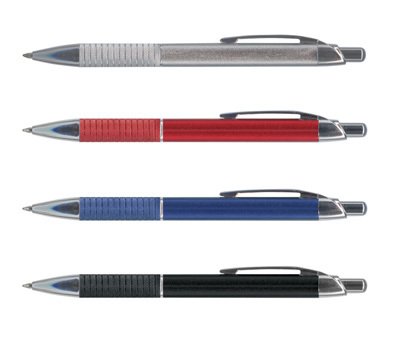 Features: Retractable aluminium ball pen with a unique matt finish pattern in the barrel and grip. Refill Type:Black ink refill with 1200 metres of writing ink. Positioning the print on your promotional pen is a very important part of applying your logo to gain the maximum effect. The positions highlighted in yellow apply to this pen.